Scotty proved to be the one to show Robin humility. Her favorite saying to him was, “Oh, get over it, Scotty!” One time Robin left him on the grooming table at her house, and her mother had to ship him to me to take to the shows. 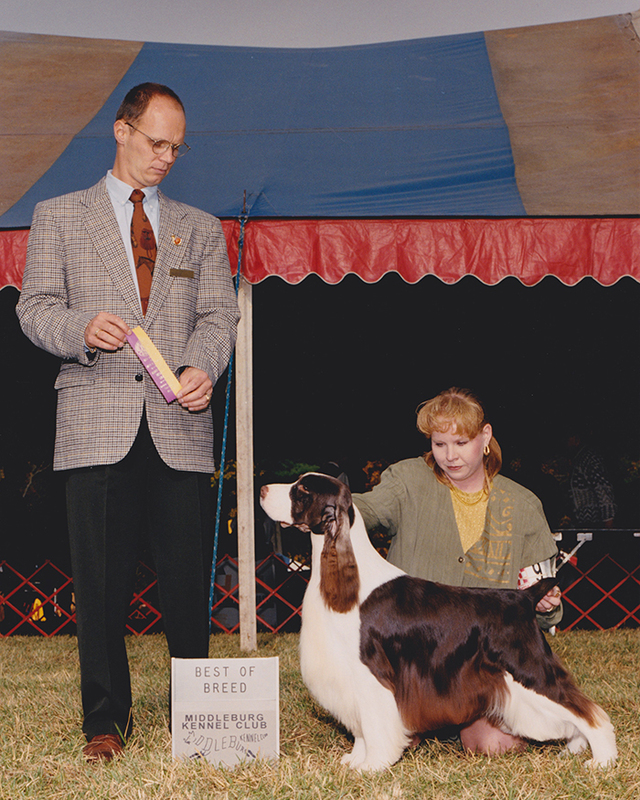 In his career, he won several specialties, including BOB at Spaniel Club in 1998. He also won several group placements. His last weekend out he won Best in Show. He was Runner up Show Sire in 1997.